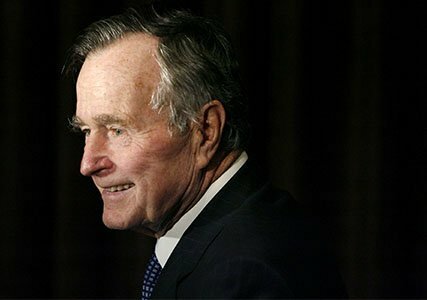 George Herbert Walker Bush was a real American hero, a Military veteran and US Navy’s youngest pilot with 58 combat missions, where the last one nearly killed him during WW II, he was a Diplomat, a Congressman, CIA Director, Vice President and then served as the 41st President of the United States from 1989 to 1993. POTUS41 President GHWB casket will be at The US Capitol Rotunda from Monday evening through Wednesday morning. The US government named USS George H.W. Bush the last supercarrier of the United States Navy after him. He was a naval aviator during World War II. On December 17, 1992, before leaving office, George H.W. Bush signed NAFTA. “You see, the NAFTA represents the first giant step toward fulfillment of a dream that has long inspired us all, the dream of a hemisphere united by economic cooperation and free competition,” He negotiated the original North American Free Trade Agreement over 25 years ago, died on the same day that Donald Trump signed the deal to replace it. But Congress could still reject this wish-hunt and preserve its original name. These were the good old days when experience and a solid resume mattered more than a big mouth and when the decorum of presidency signified something totally different. 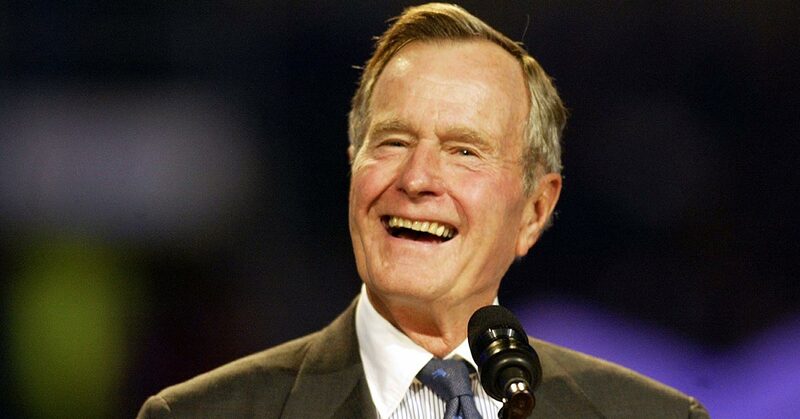 George Herbert Walker Bush died Friday night at the age of 94. I am not a Republican or a Democrat. I have no political affiliation. Nevertheless, I was recruited and served President HW Bush as GM 15-10 Division Chief for USIA-TVM. During his years in The White House, President Bush launched military operations in Panama to overthrow its drug-trafficking leader, Manuel Noriega. Then sent troops to push back Iraqi dictator Saddam Hussein and put him in his place following a failed takeover of oil-rich Kuwait. It was perhaps the high point of Bush’s presidency, with his approval rating reaching a record 89 percent. His commitment to our nation made him an elder statesman. During George H.W. Bush's only term as President, the Berlin Wall fell, democratic states sprang up across Central and Eastern Europe, and the Iron Curtain was torn to shreds as The Soviet Union finally came to an end. GHWB rejected an overthrow of the Iraqi government because it would have incurred incalculable human and political costs, saying We would have been forced to occupy Baghdad and, in effect, rule the entire country of Iraq. George H.W. Bush, served as President as the Iron Curtain was torn and shredded has died at age 94. He was the oldest living U.S. president, born June 12, 1924, age 94 years, 119 days. On November 25, 2017, he also became the longest-lived president, surpassing the lifespan of Gerald Ford, who died at the age of 93 years, 165 days. He was also married to the same woman. Barbara Bush was the object of his real lifetime adoration. Mrs. Bush was extremely outspoken and First Lady of the United States from 1989 to 1993. She previously was the Second Lady of the United States from 1981 to 1989. Among her six children are George W. Bush, the 43rd U.S. President, and Jeb Bush, the 43rd Governor of Florida. On the other hand, Bush was accused of allegedly obstructing justice as he tried to protect Spiro Agnew and Richard Nixon before they were forced out of office. He also worked with Roger Stone and Paul Manafort and let’s not forget The Willie Horton Ad as well as his broken pledge of NO NEW TAXES. We should try to honor the GHWB legacy, but not without a balanced view including laurels a well as darts, with warts and all. Old soldiers never die, they just fade away. POTUS41- The Greatest Generation of #Americans to let freedom ring. https://cimages.me/content/rip-president-george-h-w-bush #USA has been through much, and new challenges will follow. George H.W. Bush enjoyed high approval ratings his first three years in office, but low ratings in the fourth year led to his re-election defeat. Updates and stories about the 41st president of the United States.